Super Junior will be on home shopping again this spring! On April 1, Label SJ reported that Super Junior will be on CJ O Shopping once again to market products along with their new comeback. Back in November of 2017, the group had marketed black suits through the same channel, achieving a complete sell-out of the product in an hour. 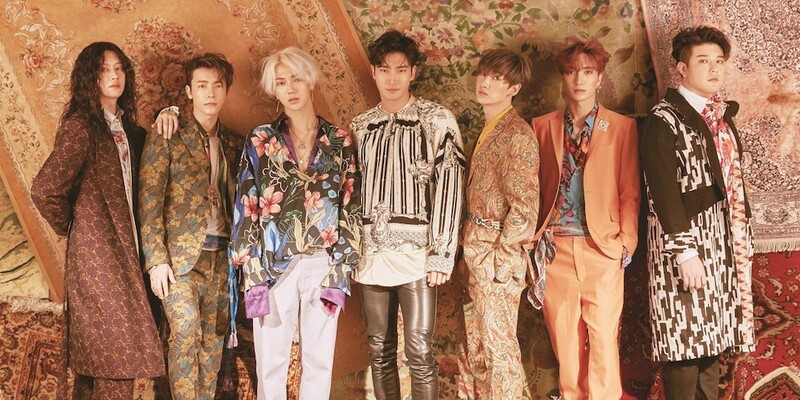 With the release of their new album on April 12, Super Junior will be marketing a different product this time, selling A Bazaar facial masks on the same night from 10:45 to 11:45 PM (KST). During this home shopping hour, Super Junior will not only market their standard facial masks as they had promoted before, but will also showcase specially packaged items for the viewers of 'Super Market'. The channel 'Super Market', which will air their show, uploaded on their Instagram: "All the products are ready. Super Junior only needs to show up". Regarding information about their new comeback, Super Junior's new 8th Repackage Album 'REPLAY' will be available on April 12 at 6 PM (KST).